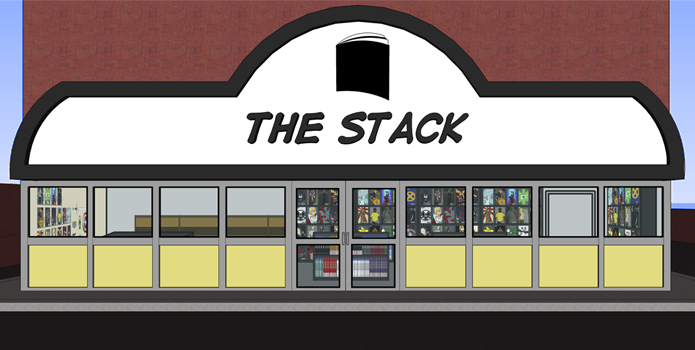 The story follows Beck who recently got a job at The Stack, which is the local comic shop owned and run by an aging hippy who couldn’t find a real job 30 years ago. History seems to be repeating itself. Along with his friends, coworkers, and complicated love life, Beck goes forth into the uncertain world of post-college. LCS is updated every Tuesday and Friday at 12:00 AM EST. LCS is made on Photoshop CS3 with a Wacom Intuos 3 tablet. The website is made on a WordPress blog using inkblot theme and the Webcomic plugin by Michael Sisk. All comments are held for approval to help insure that spam is not shown on our site.